Insurance claims processing is an integral part of medical billing and one of the essential components of revenue cycle management. The way it is implemented in an organization or institution significantly affects its billing, account receivables, and collections. Today, it’s hard to believe that several decades ago medical billing was almost entirely done on paper. Fortunately, that’s no longer the case, as technologies have streamlined many aspects in healthcare providers’ workflows, including billing and claims processing. And yet, there is still a lot of room for improvement. So what are the challenges the healthcare industry is still facing when it comes to claims processing? Let’s consider communication between healthcare providers and insurance companies. A claim needs to be filled, scrubbed, and submitted; denied claims have to be corrected and/or appealed for reconsideration, and so on and so forth. To start with, those forms are still created in a mix of digitized and paper formats. As of today, different sources report that up to 75% of claims are electronic, with the vast majority following the EDI X12standard. Seems pretty good at first glance, doesn’t it? Yes, until you realize that X12 was formed in 1979, its insurance subcommittee established in 1991, and that the remaining 25% of claims are still done on paper. Even after a quarter of a century, we still haven’t been able to relegate paper claims to the periphery of claims processing – they still make up a significant portion of the insurance market – and have not moved past the 35-year-old X12 standard, which claims the highest industry adaptation. Now let’s turn back to scrubbing and the rest of the workflow. Filing a claim involves supplying the appropriate diagnosis and procedure codes accompanied with appropriate modifiers pertaining to the treatment performed. However, simply filing those codes into a claim does not guarantee that it will actually be paid. Significant numbers of claims submitted to insurance companies get denied or rejected because of mistakes in diagnosis and procedures encoding. To make it clear, those are not exactly mistakes but rather discrepancies with certain carrier guidelines. So “scrubbing” refers to an intricate cleaning of a claim prior to its submission aimed at decreasing the percentage of denied claims, shortening account receivables, and increasing collections. Automated scrubbers based on so-called “rule engines” have existed for over a decade. A scrubber verifies that a procedure performed is associated with a diagnosis code that justifies the medical necessity of that procedure along with demographic information such as gender, age, date and place of service and any required modifiers. Compared to manual edits, the best breed of automated scrubbers allows the identification of up to 30% of claim denials before actual submission. Although this is quite a significant result, the next question naturally is why is it still a problem to get rid of denials? Probably the major issue here is how the rules necessary for scrubbing are provisioned. Simply put, there is just no unified process for obtaining it. Claim scrubber software companies hire physicians and nurses who work full time evaluating real-time medical necessity data posted by insurance companies around the country on their websites. Here, it appears that automated scrubbers just shifted manual efforts down the line instead of eliminating them altogether. There’s probably no need to explain why electronic claims are better than paper and what the benefit is of having a unified industry-wide standard built on top of up-to-date protocols and formats. The situation is changing, primarily in the area of clearinghouses. New players are building their platforms using modern technologies and protocols, but it will take quite a long time for those platforms to gain noticeable industry adaptation and force other parties to accept new standards. It would be good for practices to receive standardized updates of medical necessity data and other validation rules on a regular basis so those updates are considered during scrubbing. Unfortunately, it doesn’t seem to be feasible at the moment. While the industry may be moving in the right direction, it’s not moving quickly enough and if it continues on this same pathway of growth, it will have little chance to catch up with technology. What the industry really needs is a bit of an acceleration so that it can move the technology needle forward and finally get some real benefit out of it. 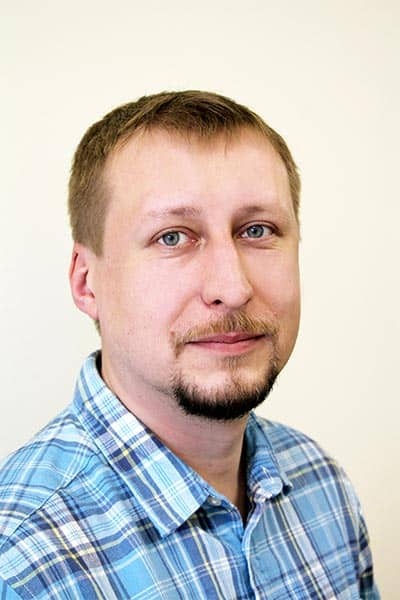 Egor Kobelev is the Software Delivery Manager, Healthcare, for DataArt.